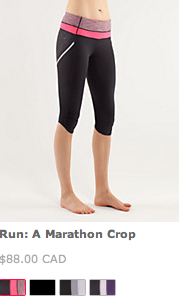 Well, I ordered the Run: Marathon Crops despite the low rise thanks to a readers recommendation that I try them on so we shall see. I love the look of them and all the features but I don’t usually have much luck with low rise. 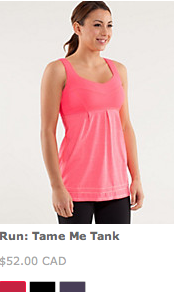 I also got the Every Yogi Tank in blurred blossom. 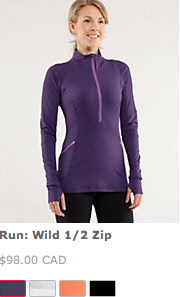 I haven’t tried one on yet but I heard it’s a size down item so I took a chance and ordered an 8. Hope it’s the right fit. 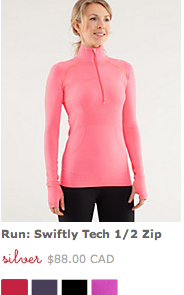 Tempted by the swiftly vneck and the 1/2 zip but I will reluctantly wait. 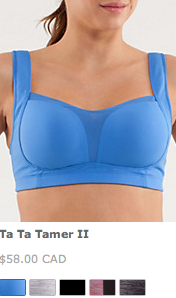 Ooooooh, and loving the new porcelain blue Ta Ta Tamer. Can’t wait to see more items in that color. What did you guys order tonight? "New Color Coming! 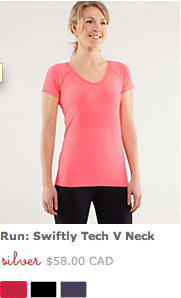 Menthol Green"
"The Latest: White Recognition Pants, Concord Run Wild 1/2 Zip, and Swiftly Tech V-Neck"